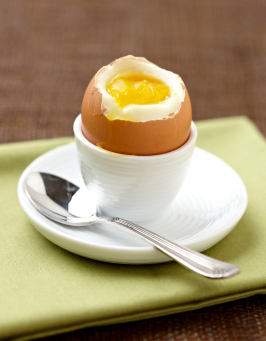 The texture of a perfectly cooked soft-boiled egg whose yoke is in that liminal state between overcooked and runny–just right. Or the feel of new soft socks that are cushiony marvels of cotton and other materials (Lycra?) that magically mould to the foot. Ahh. None of these things cost much, but they deliver a whole lot of good. One of music’s delights is how it creates a space for lots of small things to happen and be heard at the same time. Almost not matter what music you listen to, there’s a lot of this simultaneous micro activity happening. Sometimes this activity isn’t heard as much as felt, but either way it forms the tangible part of music’s texture and deeply shapes how it impacts us. Take David Guetta’s recent-ish dance pop smash (104 million views on YouTube) “Titanium”, which was written by the smooth Australian singer Sia who also sings on the track. On the face of it, this is an oversized anthem of a song–all big featured and perhaps not so subtle. But for me, the elements that makes it work and have the impact it does are Guetta’s little production effects and arrangement decisions that keep the music compelling and moving along. Structurally, “Titanium” is a simple verse-chorus-verse-chorus-bridge-chorus-chorus-chorus affair. The piece begins with a muffled electric guitar plucking away a four-bar chord progression in e-flat major: E-flat (I), g-minor (iii), and c-minor (vi). The first time I heard it I thought of the Police’s ballad “Every Breathe You Take”–same muffled and arpeggiated guitar (only the guitar on the Police song opens with an eight bar, four-chord progression). Soon a kick drum and a bassline enter the mix for the second half of the verse. When the chorus arrives, the chord progression changes to A-flat major (iv), B-flat major (V), g-minor (iii), and c-minor (vi). The chorus also momentarily sets Sia’s voice free of the drums and bass which abruptly cut out–a classic DJ compositional move–only to return a few bars later. After the chorus, the song continues to the next verse, but this time around the rhythm section joins in sooner. Then back to the chorus, a bridge (well, a quasi-bridge, since it’s sung over the same chorus chords), and a few more choruses to the end. At a tempo of around 126 BPM, “Titanium” clocks in at 3:50–the ideal pop song length. First, if you listen to the four-bar guitar part on the verse, you’ll notice some small amounts of a reverb tail added in specific spots. You can hear it on beat four of bars one and two, as well as on all four beats of bar four. The reverb makes it sound like the guitar has been placed in an echoey stairwell for just a moment, making those muffled staccato notes momentarily become un-detached and blur together in a mass of sound that grows in intensity. The addition of the reverb lends the guitar part a subtle kind of accentuation which might be represented as: 1-2-3-4, 1-2-3-4, 1-2-3-4, 1-2-3-4. This reverb-accent creates a forward momentum that makes the downbeats of bars one, two, and three seem all that more exciting. Second, Sia’s vocals undergo a shift as the song moves from the verses to the choruses. Listen closely and you hear her overdubbed voice double tracked on the chorus–super high notes mostly on the right, and lower harmony on the left singing “you shoot me down, but I won’t fall …”–leaving the space in the middle of the stereo mix curiously devoid of her lead vocal. That lead vocal from the verse that should be in the middle of the stereo mix just disappears for a few seconds. Interesting. Third, the percussion on this song is fairly sparse. On the verses, it’s mostly the 4/4 kick drum. Eight bars in, just when you think a snare drum will join the mix on beats two and four, it doesn’t. Instead it’s replaced by a light and fluttering electronic brush sound playing an off-beat pattern. When the chorus arrives, all of the percussion cuts out entirely for the first eight bars. Then a snare drum enters, playing on beats 1,2,3 and 4 of the second four bars. On the final eight bars the snare cuts out the kick drum returns. In terms of what a real drummer might do, this is one awkward and disembodied drum part. But it’s a programmed part, and virtual musicianship has more leeway than would be accorded to a real musician. Guetta’s percussion–the kick, the fluttering electronic brush, the snare–holds together more because it’s quantized than because it sounds like a real drummer. Which brings us to a fourth little thing that holds “Titanium” together: the fact that the whole mix sounds like it’s pulsating along the 8th-note groove set up at the outset by the arpeggiating guitar. This can be heard in a big way on the choruses when the kick drum returns and along with it a pulsating set of chords and a throbbing baseline. Production-wise, it’s quite simple to make a pulsating or throbbing sound by putting a compressor effect on say, a bass or keyboard part, and chaining this compressor to the song’s 4/4 kick drum. Each time the kick drum hits, the compressor on the bass or keyboard part will, well, kick in and “duck” the sound out of the way or momentarily lower its volume. It’s this ducking out of the way that gives a lot of electronic dance music its signature pumping sound. Not only that, but while the technique was originally used to make mixes “tighter” and more energized, it can be used to an extreme too. Listen again to the chorus of “Titanium” when the kick re-enters. To my ear it sounds like compression overkill that makes for a squashed and flattened mix. But maybe this is what works well in huge performance venues? This sense of pulsation can be heard in more discreet ways too. For instance, I notice it on the little delays added to Sia’s vocals that become more intense as the song unfolds. The delays are synced to the song’s tempo and you can hear them bouncing off into the soundstage horizon long after Sia finishes singing her brief lines, helping build the momentum and make the music feel inevitable. In sum, “Titanium” uses a number of small production techniques to make itself hum and thrum. If I may offer a scenario not as a criticism but more as a thought experiment: if you were to render this song on an acoustic guitar with a single voice overtop it might not be as much to listen to, and may not even convincingly hold together…Well, okay, scratch that idea, because it turns out that there are acoustic covers of the song that do hold together, such as this one. Nevertheless, Guetta’s digital incarnation of “Titanium” coheres with the help of computer stitching on the disembodied drum kit, the reverb and compression effects, and the little slights of ear like Sia’s overdubbed voices. It turns out that this song offers a number of musical subtleties. And as with the pleasures of a mechanical pencil, a soft-boiled egg, or soft socks, “Titanium” doesn’t cost much in terms of your attention, yet delivers a whole lot of good.